All people have experienced the annoying and uncomfortable twitching and jumping of the eyelid or eye at some point in their lives. That nerve jump or muscle spasm may appear at different times like while you are cooking, surfing the net, cooking or doing nothing special. You have probably always wondered what causes this feeling in the eye. Luckily, science has the answer for this question. According to science, twitching of the eye is an uncontrollable spasm or blinking of the eyelid. It is usually the upper eyelid. Usually, this spasm affects the eye muscles and at that time you feel movement of the eye that you cannot control. It happens on every few seconds and lasts for several minutes. 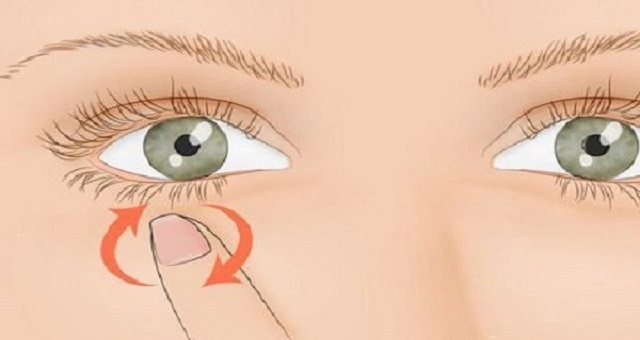 This involuntary movement of the eyelid can even last for several days. Medical professionals cannot exactly tell what causes eye twitching. Among the most common reasons are consumption of large amounts of alcohol, tobacco and caffeine, fatigue and stress. It also appears in cases of irritation of the membrane or the eye’s surface, dry eyes, allergies or excessive eye strain. However, in most cases it appears for no reason, it is harmless, painless and disappears quickly. On the other side, eye twitching may also be a sign of severe neurological disorders like Lou Gehrig’s disease or amyotrophic sclerosis or abnormal spasm or blinking of the lid known as blepharospasm. The second disorder is detected among 2000 people in the US every year. It develops during mid or late adulthood. Blepharospasm is more common among women. This neurological disorder cannot worsen if it is discovered in time. If not, the twitching may spread to the entire face, the vision may become blurry and the person may become extremely sensitive to light. In some cases, the eye twitching may last for several hours if the disorder has progressed. If eye twitching last for a few minutes and appears early, there is no reason for worrying. See an eye doctor if you have some of these symptoms. After the eye doctor examines you and learns about your symptoms, he may send you to another specialist like a neurologist if it is needed. If you are experiencing eye twitching that is not related to a neurological disorder, visit an eye doctor and the problem may go away. To reduce the twitching by yourself reduce the intake of caffeine, sleep more and avoid stressful situations. You can also relax the muscles around the eye with cold and hot compresses. Massage and acupuncture are helpful as well.